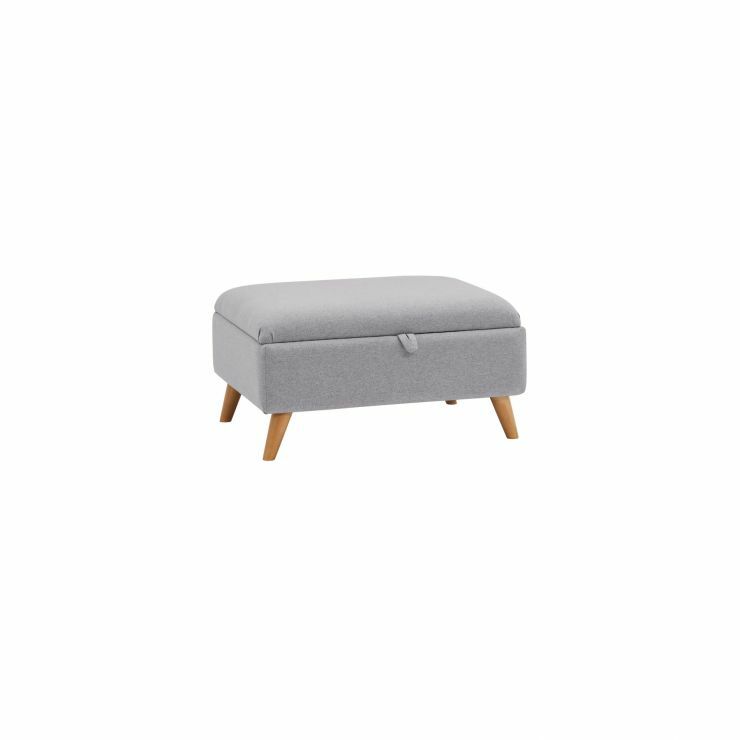 Complete your living room with the delicate Cooper storage footstool. 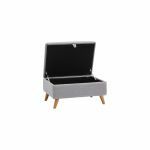 Upholstered in a cheerful Silver fabric, it boasts a deep easy-to-open storage compartment, perfect for keeping living room clutter at bay. 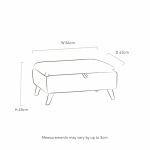 The slim turned oak legs complete the sleek and modern styling, and add a sense of lightness to the piece. Don't forget to browse our coordinating Cooper sofas to find the perfect matching piece!